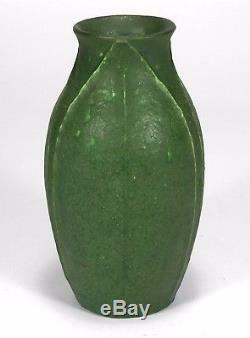 Here is a very good Grueby Pottery vase with 3 well tooled leaves from top to bottom around the ovoid body of this hand thrown form. 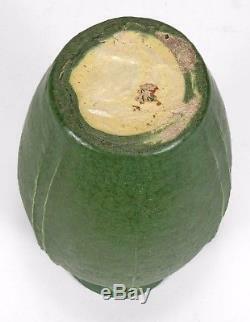 It is covered in a nicely curdled medium dark matte green glaze which thins over the leaf edges and ribs. 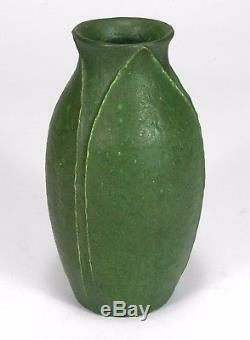 It measures 7 1/4 inches high and 4 inches in diameter at the widest point. 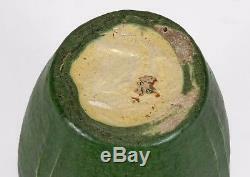 It has invisible repair to the rim, possibly for a couple small chips, but is otherwise in good condition with no cracks or firing flaws. 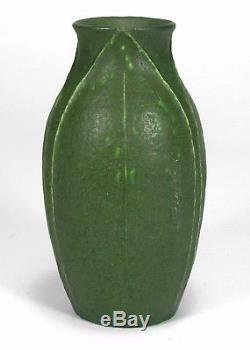 Marked with the a partial round Grueby Pottery Boston USA paper label, the die-stamp is not really visible. 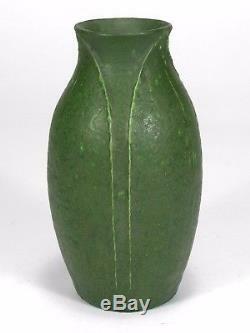 An incised RE for decorator Ruth Erickson is on the edge of the base. 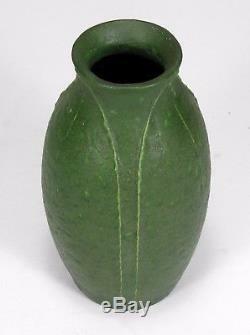 A perfectly fired example of the quintessential Arts & Crafts New England art pottery. 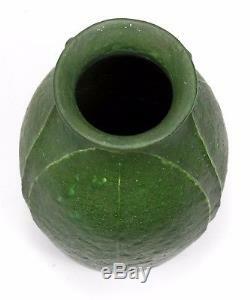 The item "Grueby Pottery matte green 3 leaf 7.25 ovoid vase Arts & Crafts Boston" is in sale since Thursday, September 6, 2018.